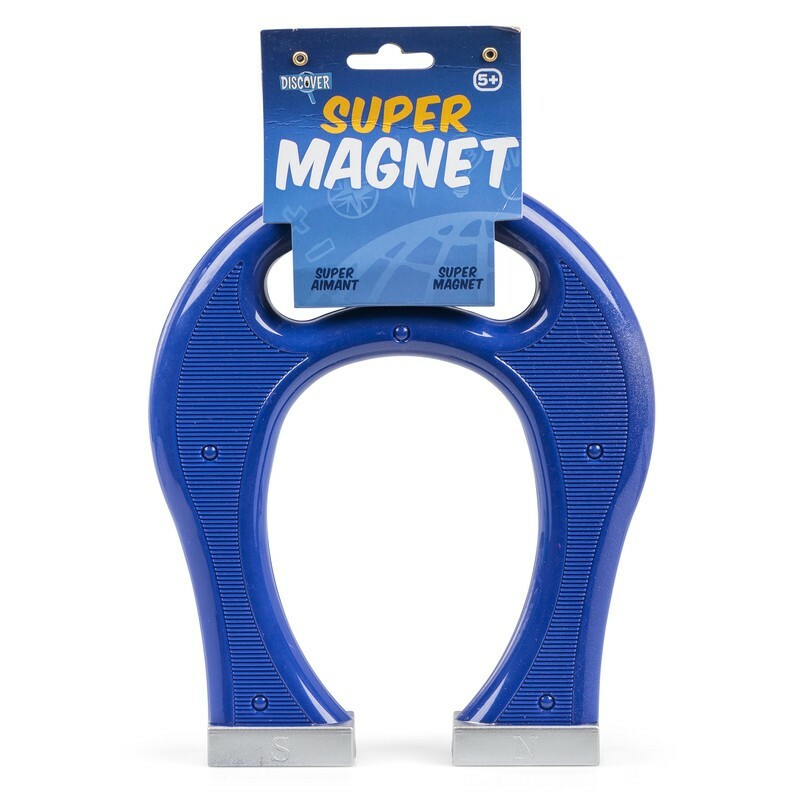 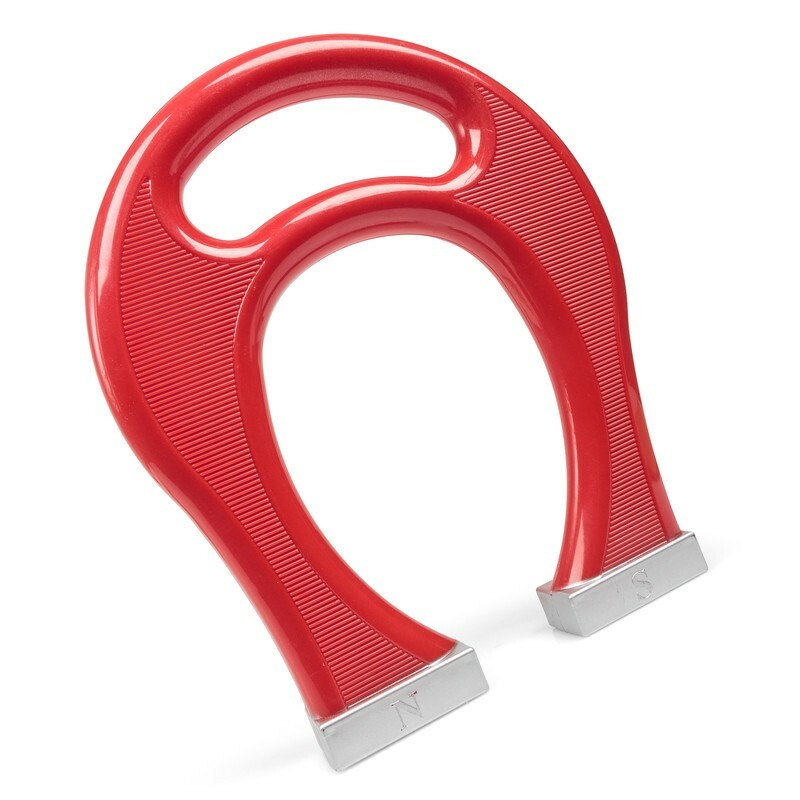 Giant Super Magnet, designed in an old-fashioned horseshoe style plastic case and a convenient handle at the top. The powerful magnets on the end of each fork are labelled with their appropriate poles to help with experiments involving magnetic materials and other magnets. As such it makes a brilliant educational aid that can be used in school lessons, at home or just about anywhere else!